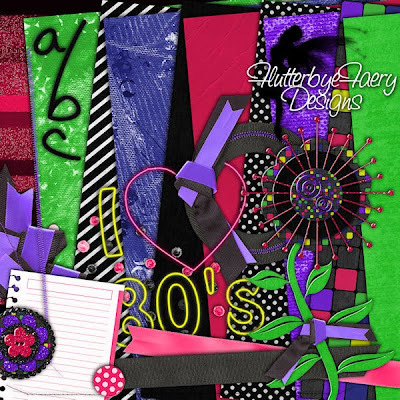 FlutterbyeFaery Designs: I Heart the 80's! This week I did an 80's inspired kit. 10 papers, 14 elements, and an alpha. Head on over to the browniescraps gallery to get it! It will only be available for a short time! While you are there, don't forget to check out the other awesome kits from this week!